This year was a year of remembrance & milestones, of ceremony and new beginnings. This year’s crowd was larger than ever, with pre-ticket sales surpassing last year’s total, providing evidentiary support that mushroom-love & lore is no passing fad. Along with the expanding numbers came expanded offerings, with multiple venues showcasing tracks in entheogens, mycomedicinals, mycoremediation, cultivation, and identification to name a few. The 32nd festival launched its first Mycoremediation Certification Course for approximately 25 willing students traveling from across the globe (hey Australia! ), co-faciliated by Ja Schindler from Fungi for the People and Trad Cotter from Mushroom Mountain. And, to top it all off, this was the first year that Shroomfest received some national coverage…from Fox News! All-in-all it was a wonderful weekend, filled with good food, forays, fun, and of course the most beloved of organisms, fungi. We were wishing there had been a little more female speaker presence (our count: 5 stand-alone mycology-focused speakers), but there is always next year and by then we know we will have a whole crew to truck down to Telluride (hint-hint, nudge-nudge). 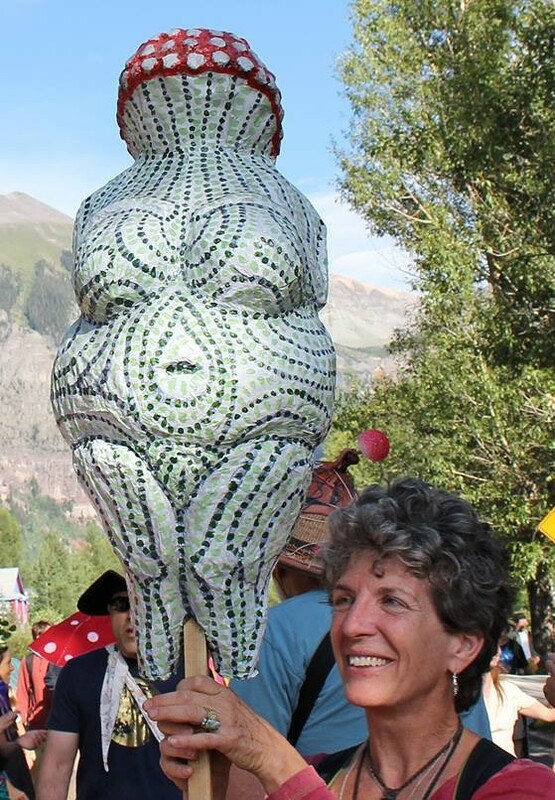 Tags: Shroomfest, Telluride Mushroom Festival. Bookmark the permalink.